We were introduced to Richard on Twitter when we put out our call for champions. 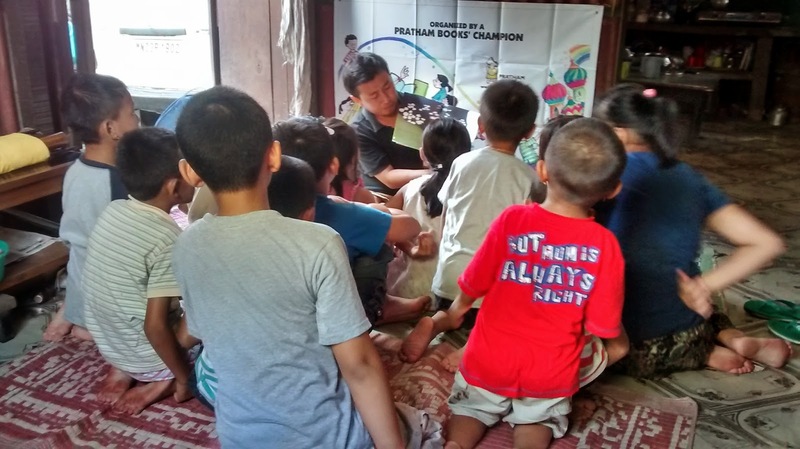 Happy to have Richard join us to take Takloo's story to Imphal. Richard is currently pursuing his MPhil from Tata Institute of Social Sciences, Mumbai. He also volunteers for the National Alliance of People's Movement (NAPM) and is an occasional blogger. 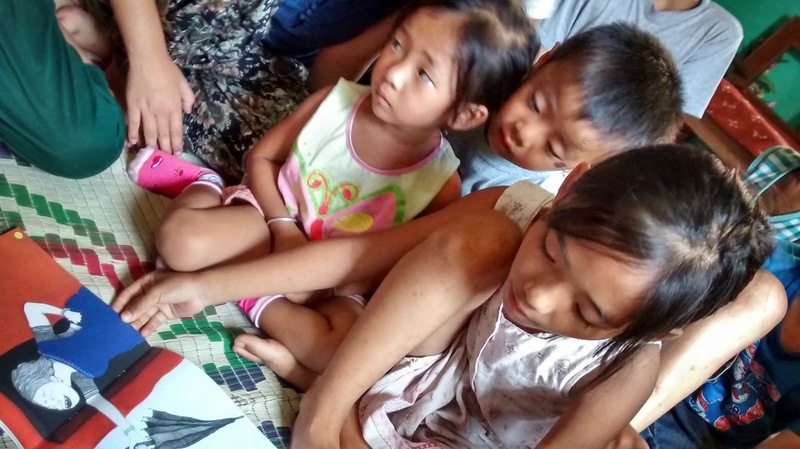 After Teachers’ day celebration, the kids in the village from Dimdaijang and Namthanlong, Imphal were in for a surprise. 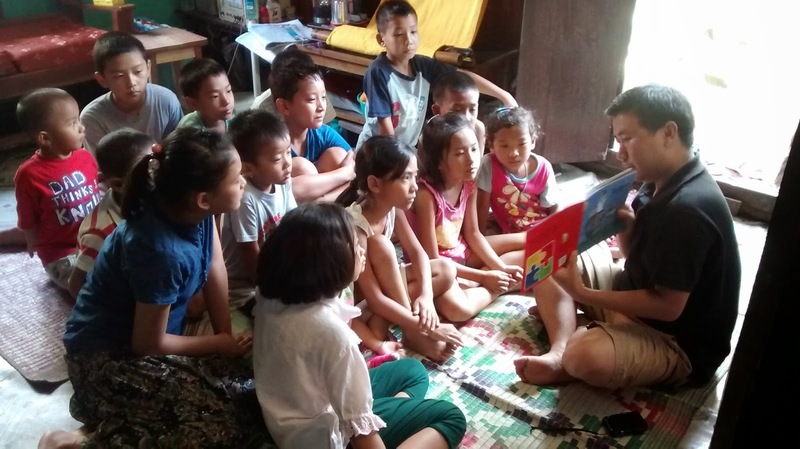 In gathering momentum to this surprise, word-of-mouth communication was used to raise interest in them to come and attend the Takloo story telling session for Pratham Books' International Literacy Day celebrations. 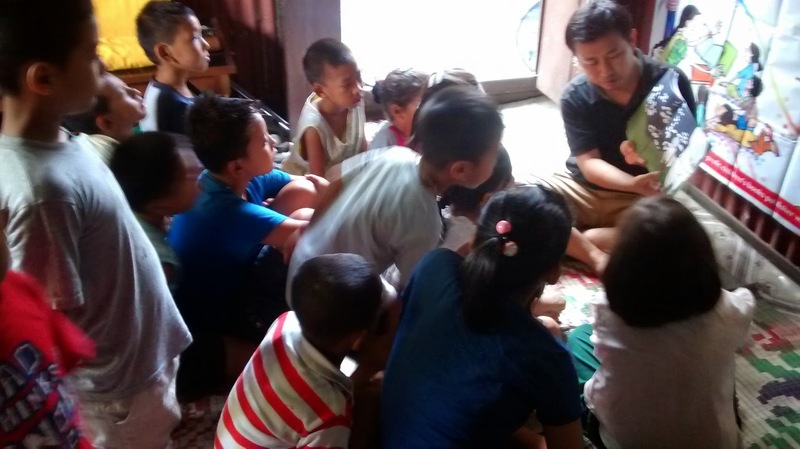 When the invitation to attend the story telling session had been made, children came over at the right time on a sweltering afternoon in Imphal. Once the children were seated, introductions began- I began with my introduction and then requested them to do the same with their names and current class they are attending in their respective school. 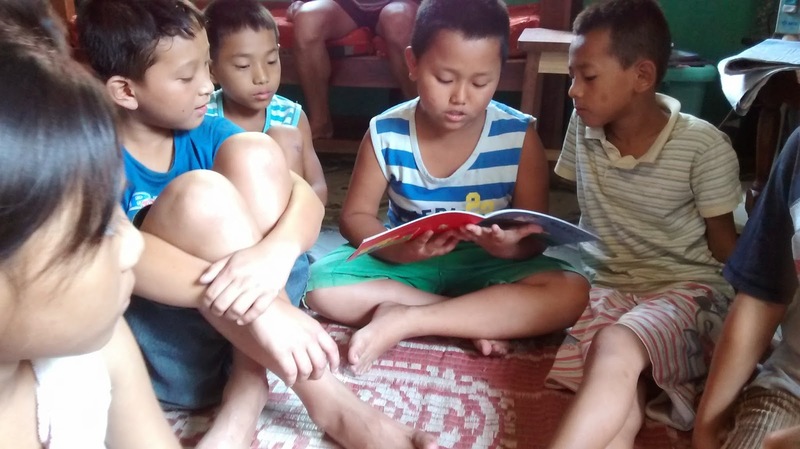 This was followed by “why they are here” and explained to them about “International Literacy Day”, about “Pratham Books” and its outreach to kids from underprivileged families. All these communications were interacted in Rongmei language. 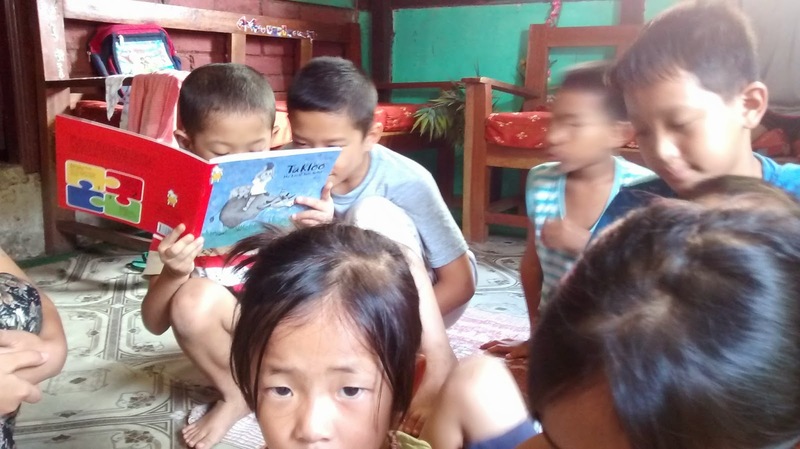 The number of children present in the session is roughly 15 and the present classes they are studying at school ranges from pre-nursery to 6th standard. I began the narration of Takloo- the Little Salt Seller by introducing them to the picturesque village of Anjarle and the varied and rich environment in and around the village through the graphic depiction in the book. After this, the kids’ enthusiasm and their curiosities were sensed through pin drop silence and their keen observations. I proceeded the story telling session by reading out every texts and correspondingly explaining them in Rongmei language by displaying the book‘s content to everyone. 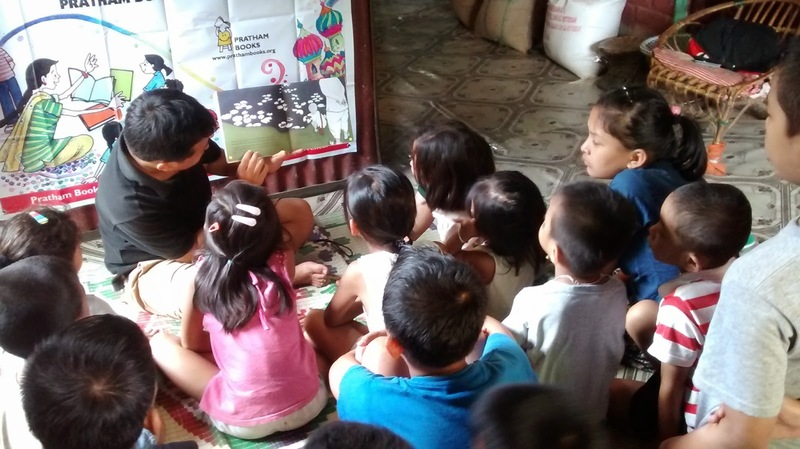 The children were in awe of the pictographic display of the book and their expressions were telling of their interest in the story. In between they burst into laughter over the dancing movement of Moti- the dog and also over the expression of the angry Banabai over the salt. The story session ended by telling the morale of the story that irrespective of how small and not so well-to-do a family, they can live peacefully and happily over a small yet very significant act of a clever and considerate Takloo. 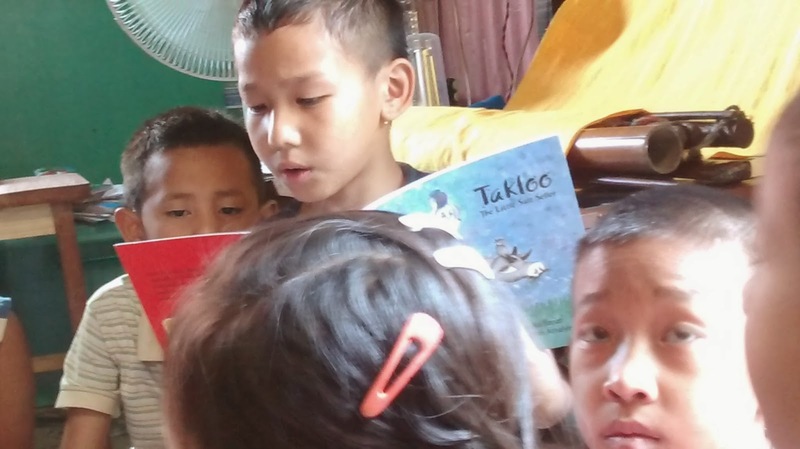 And then I took their attention to uphold the importance of literacy in reading and writing, and gain knowledge and impart it for their well being and to their surroundings. After this, I inquired if any of them wished to read the contents of the book. They nodded positively and I made them read aloud page-wise, as per their willingness. It was quite a daunting task to detach the story telling session seeing the children’s positive response; somehow I called it a day and to their inquiries I assured them to conduct the same session if I am around next year and told them they should read as much as they could. Here’s to Pratham Books’ generous effort in keeping alive the importance of literacy through their celebration of Literacy day with Takloo- the Little Salt Seller. Thank you Richard for spreading the joy of reading !